1) Lesson details for Monday 9th and Tuesday 10th October 2017. 2)Dates to Diarise as the 4th and final term begins - especially the Saturday School starting 14 October 2017. 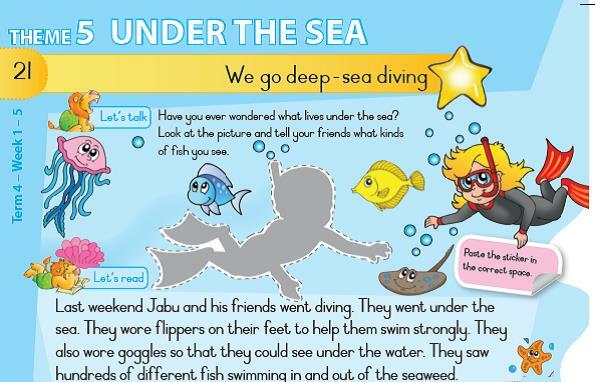 Our theme over the next few weeks is "UNDER THE SEA". 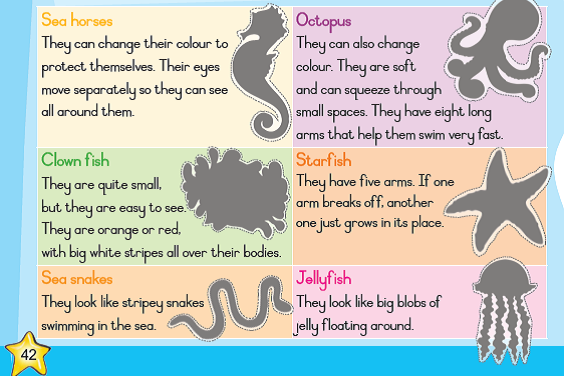 The focus this coming Monday will be on Revision of the target sounds that were covered last term, but you can start discussing the various "sea animals" in the attached document in preparation for our lesson on 16 September when we will explain what an aquarium is to our learners. - continue introducing the concept that some sound pictures have more than one letter - revise the [ck] and the various ways to show the "k" sound such as the [c] and [k] covered already. [qu] to be introduced.